At 25th of September 2013 we have started the new project "EuroWater" in Wittmund. This project is a Lifelong Learning Programme and 5 schools are sponsored by the Education, Audiovisual and Culture Executive Agency. The students participating in this European Exchange Program are going to face and prepare themselves with the issue “Water – the No. 1 provision for Europe” by checking up on the effectivity of jural obligations, quality standards, and monitoring and safeguarding measures inside the European Union as published in the “EU directive on the quality of water for human supply”, published by the European Council on November 1998, No. 98/83/EG. You can get this information in different languages. - send - to local and European makers - signals which can be exploited in decisions on environmental protection and environmental education. In December 2010, the United Nations General Assembly declared 2013 as the United Nations International Year of Water Cooperation (Resolution A/RES/65/154). 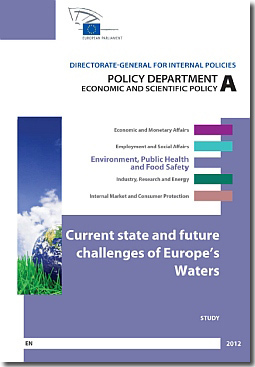 Information showing how sensitive the issue is to be found in the study "Current state and future challenges of European's Waters" from the European Parliament.